With over 2 million unique visitors each year, Lakes Online offers the most cost-effective advertising and promotion services for water-related businesses. We specialize in lake content through LakesOnline.com and CoastalTown.com and work with affiliate sites to boost traffic. 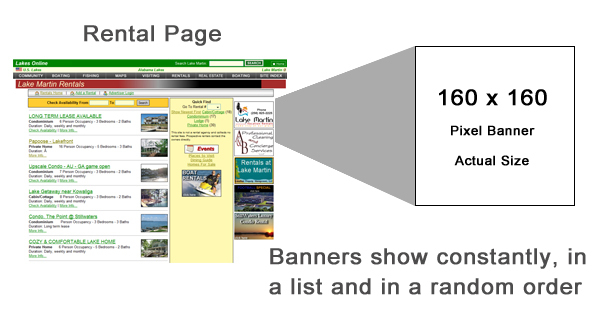 When people see your ad, you have hit a target audience interested in waterfront related businesses. Services can be purchased month-to-month with no long-term contracts or commitments. Give us a try and let us prove results to you. But don't take our word for it. See what others say about us! 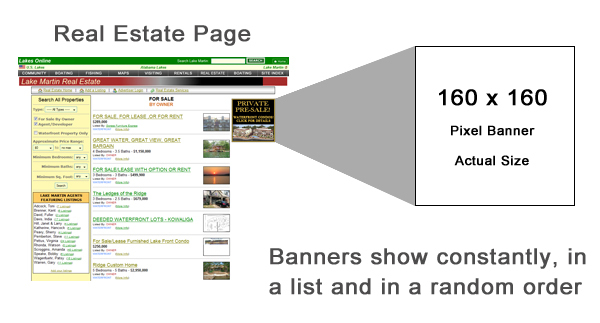 There are several banner positions that run on the web pages of the West Point Lake Site. Each banner is custom designed for the promotional campaign you need. 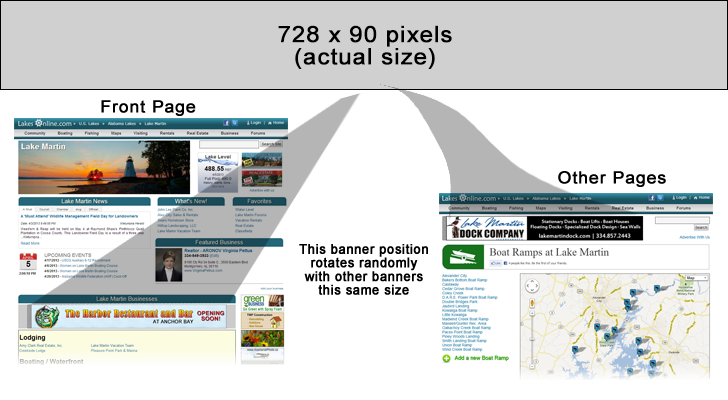 Contact us at webmaster@lakesonline.com to setup a banner ad. Please indicate banner position and describe desired design.